SF State’s commercial real estate fellowship, the CREATE Fellows Program, launches in September and aims to create a new crop of industry leaders. 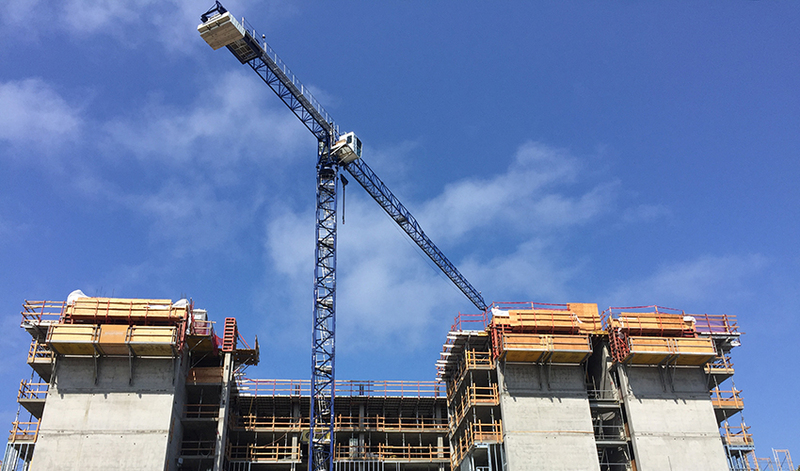 Thanks to the flourishing tech industry, San Francisco is undergoing a building boom. Half-built skyscrapers and construction cranes are regular fixtures along the downtown skyline and a sign that another industry is thriving: commercial real estate. So San Francisco State University couldn’t have picked a better time to launch the CREATE Fellows Program. The yearlong commercial real estate program starts in September and is open to all College of Business students. SF State received funding for the program through the Commercial Real Estate Alliance for Tomorrow’s Employees (CREATE), a collaboration between various commercial real estate trade organizations, led by the Building Owners and Managers Association (BOMA) San Francisco. The idea behind the program is to attract future leaders. “We’ve been to trying to tackle our industry’s talent drought for some time,” said Marc Intermaggio, executive vice president of BOMA San Francisco. The number one issue is attracting and retaining talent, and that’s magnified when 55 percent of real estate leaders plan to retire in 10 years, he said, citing data from real estate consulting firm CEL & Associates. Students enrolled in the fellows program will learn basic commercial real estate principles, such as leasing and property and construction management, from industry leaders, said Heidi Yu, assistant director of career services and professional development for the College of Business. Workshops on soft skills, like communication and networking, are planned throughout the year. Students can also get firsthand experience about the changing real estate landscape by shadowing working professionals, obtaining internships and partnering with industry mentors. But even if students don’t pursue careers in real estate, the soft skills trainings they’ll receive are vital for business, she said. Recruiters outside of the commercial real estate industry say they want students who can communicate effectively and work as a team, she added. The current program is open to 25 students, but by the third year the plan is to expand it to 75 students. “Our ultimate goal is that employers receive job-ready candidates who can contribute to a company’s success,” Intermaggio added.